When we handcraft our pieces, we do it using only the finest quality pewter. Every pewter order we acquire is tested to make sure there are no impurities. This allows us to know we can make our hardware with only the best pewter available. 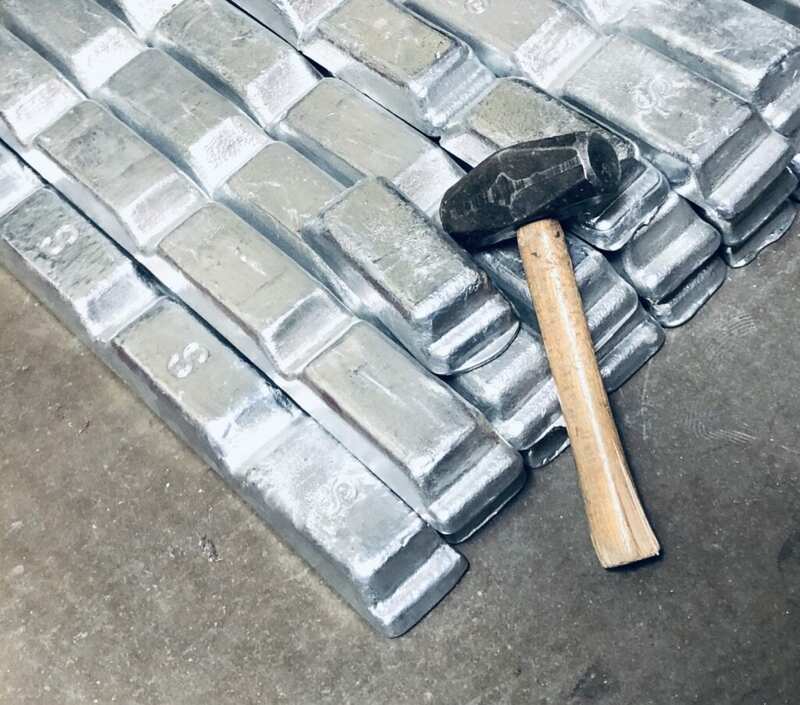 Once we acquired have our pewter ingots, we melt them down, and pour the pewter into molds. For small items such as a cabinet knob or doorbell, we use a machine called a spin-caster. This uses uses centrifugal force to get the melted pewter into all of the crevices that make Hawk Hill Hardware unique. For larger items, such as door pulls, we use gravity poured molds. After the mold and pewter has cooled, we extract the pieces and move on to the hand finishing process. Cabinet knobs and pull in Vintage, Satin, Black Iron, and Polished finish colors. Every piece we make goes through a rigorous process of professional handcrafting. Skilled artisans that have devoted their life’s work to metal crafting and jewelry making work on our pieces, and this passion for their craft is visible in every piece that Hawk Hill produces. Come explore our extensive line of exquisitely detailed handcrafted pieces of hardware for your home. We are sure you will find something that speaks to you, and will fit with your home aesthetic beautifully. If you have something even more unique in mind, we also make custom hardware. Please contact us today to begin designing and creating your own hardware!